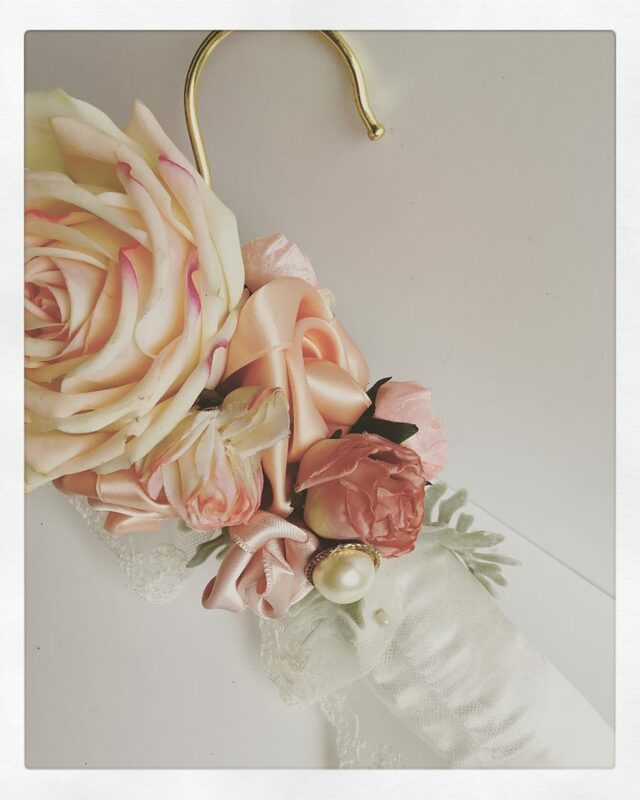 Give your wedding dress the hanger it deserves. Brides, don’t let your wedding dress be underdressed! When it comes to hanging up your wedding dress in the lead up to your special day it deserves so much more than a wooden or, heaven forbid a wire coat hanger! Nothing else but these gorgeous floral hangers will do! These beautiful works works of art are made by my close friend Annette AKA The Church Mouse who works out of her garden studio in Cheshire. Annette uses only quality materials which she sources from all over the world. Each hanger is unique, so if you see one you love, snap it up quick! The attention to detail that the Church Mouse puts into each item is breathtaking. 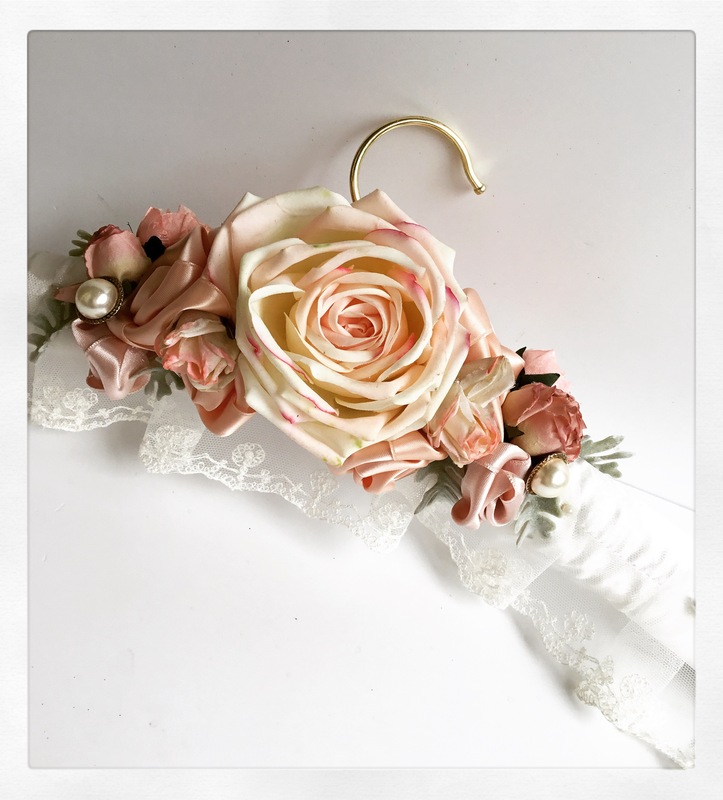 Many of the flowers are handmade out of ribbon, others are silk or dried and amongst them are nestled little lace and pearl details. if you are interested in purchasing please message me via my contact page. What a beautiful site. I will definitely be popping in here when my daughters decide to get married!